The Nara clan’s chief elder tells Shikadai to quit being a ninja and become a politician in order to increase the reputation of the clan. 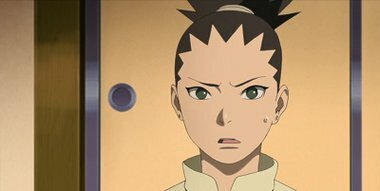 Shikadai is hesitant, but considers his father’s position and accepts. Boruto and the others are surprised by Shikadai’s sudden decision. Shikadai takes a hiatus from ninja missions and decides to study to become a politician.